Brite Bite Halibut Fishing Leaders: John Beath designed and tested these unique, super effective halibut leaders 12 years ago. The Brite Bite product line was licensed to Pt. Wilson Company and gained a strong following of loyal users because these halibut fishing leaders are easy to use and super effective. Today SquidPro Tackle owns the Brite Bite line of leaders and continues to provide top notch leaders that use 500 pound leader with UV or Glow tubing to enhance the leader's visibility. Some of the leaders also have scent tubes that allow anglers to add their favorite scent that drips over the bait. The Brite Bite leaders use quality Mustad 16/0 circle hooks. Brite Bite Leaders use 7.5 inch Glow & UV enhanced double skirts rigged upside down on the leader. These leaders look like a real octopus or squid because of the double skirt sitting upside down above the hook. With each movement of the rod tip, wave or slight current the tentacles move and open up to stimulate halibut into biting. The best way to fish Brite Bite leaders is to lower them to the bottom, then raise the leader three to four feet off bottom. 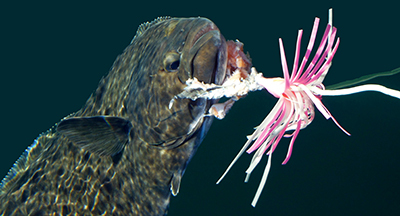 Anglers can either put the rod in the rod holder and let the lure undulate above the hook. Anglers who choose to hold their rod, and gently jig it give the Brite Bite leader a constant like-like action that drive halibut crazy. Always add quality bait to the circle hook. Herring, squid, mackerel, octopus or salmon bellies. While guiding for Whaler's Cove Lodge in Angoon Alaska, several of the guides experimented combining hoochies with flies. Capt. Moe Neale called them Floochies. After that summer two years ago, Captain John Beath created 15 colors of Floochies using quality components and color combinations to give salmon anglers a unique new salmon lure that is really the best of both worlds with regards to hoochies and salmon flies. Additionally, anglers can switch fly inserts and make their own unique color combinations. Floochies work best behind flashers or dodgers when tipped with a small piece of herring.